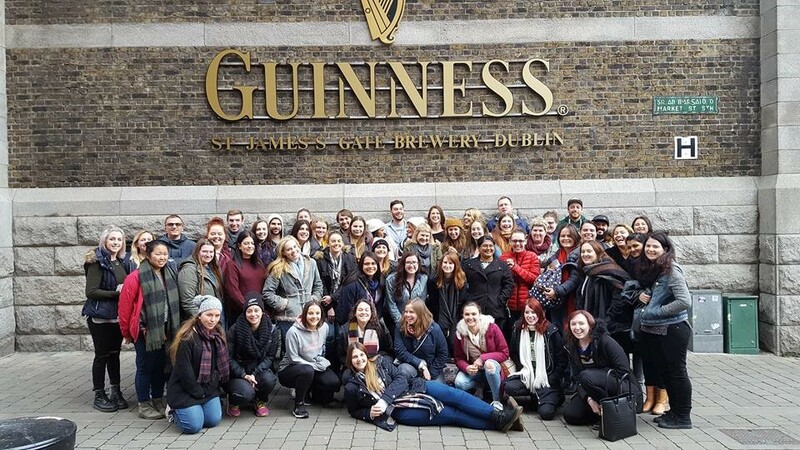 Cassandra Harrison, one of our Merit Travel consultants from Calgary travelled to Scotland and Ireland in February 2017. We’ve asked her a few quick questions about her experience. How did you get to Scotland and Ireland and who did you travel with? 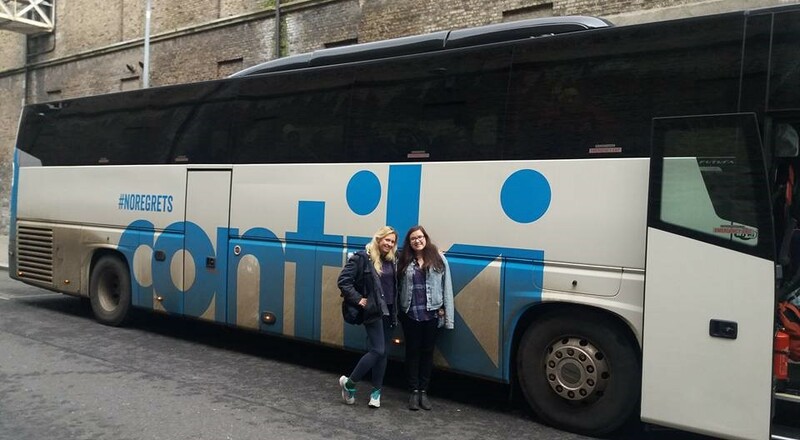 I travelled with Contiki. This was my second time travelling with them (first was New Zealand). I enjoyed that everything was sorted and I just had to worry about hopping on the plane. It was nice to be a group of young energetic people. It was nice to be able to cover a lot of ground and most of the sights that I wanted to see in a short amount of time. The bus was super comfy and had all the bits and bobs you might want. I had a week after the tour with a friend who I had met the previous year on a G Adventure in Cuba. She was my own personal tour guide. What photo sums up your experience? This is my “I am so happy its so green dance” The emerald isle did not disappoint! Living in a place where it is brown while and maybe a month of green I was so stoked about the miles of green fields. I am an outside person and I loved that even in the dead of winter I was able to get out and enjoy these beautiful sites. The other picture is probably the best way to show off the scenery and sheep of Ireland. What was your favourite meal or most interesting meal? I spend my money on food and experiences and not little trinkets that clutter up your house. So here are a few to pick from. Leo Burdock is really a hole in a wall but a world recognized hole in the wall. They have some of the best Fish and chips I have ever had. My coworkers Christine had recommended that I try is out. She had said it was one of her favourites when she was living in Ireland on her working holiday. When you walk in they have a framed photo of all the famous people who have eaten there, which included “the whole cast of PS I Love you”. Why should I book a trip to Scotland or Ireland? Scotland and Ireland each have so many amazing things to do and see. From the natural wonders to history to amazing pub culture, there really is something for everyone. 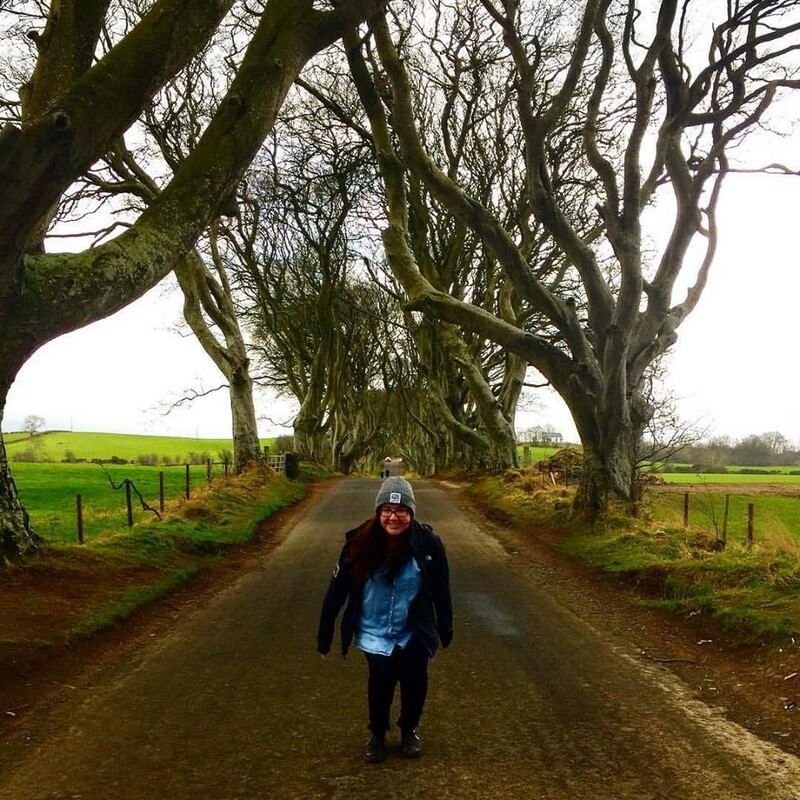 One of my favorite moments was when our Contiki guide and driver decided to make a detour to King’s Road where the film many movies as well as Game of Thrones. Our guide noticed how many Game of Thrones fans were on the tour and decided to make a detour down a tiny road that the bus barley fit to bring us here. This picture shows me super stoked to be there as I am a massive game of thrones fan. What should I know before I go? Pub culture is massive there. It is very normal for people to meet up in a bar after work even if you are not wanting to drink it is still very much part of your day. Live music is everywhere. The pound is different even within the United Kingdom but can be used all over (you can use the Scottish pound in Northern Ireland). It may not be -30 in the winter but it is a damp cold and is still really cold. Was there any place you wish you could have spent more time? Everywhere. I am a person who likes to take my time in places (spent 8 months in New Zealand and still feel like I have not scratched the surface). So I always want more time in places. The Contiki was great but they do have limited amount of time and they try to fit everything they can in a person’s 2 week vacation. One place I wish I had more time to explore was the highlands of Scotland. I didn’t have that much expectations of them but once there I realized it was the perfect place for me. We only had a day before we left so I really wish we could have at least spent the night there. What was an activity you’d recommend for visitors The Loch Ness river cruise was amazing. I was absolutely speechless. I have always loved hearing stories about Nessie, but actually floating on the black water of Loch Ness you could picture her head popping out. It was a surreal moment. Just being on the Loch was a bucket list moment for me! What type of person would love this destination? This is a destination that has something for almost everyone. You have history, culture, nature and big cities. There is so much to see that there is really something there for everyone. Is Scotland or Ireland somewhere I’d go alone, with my partner, with my kids or with my Grandma? Take the whole family, take the gang, or go on a soul searching trip on your own. You could really do this trip with everyone or no one. Like I said above there is something for everyone, so you could enjoy it with all. I loved travelling with the tour group, with my friend as well as having a couple days on my own. I can see going with your partner, kids or Grandparents and having an amazing time as well! When is it best to visit either of these countries? Most people will say the summer and I do not blame them. I think the fall and the spring would also be stunning. For me I think the winter was perfect! Before going everyone asked me what the heck I was doing going in winter. My only response was that it would be warmer than Calgary. It was also way less busy which for me was amazing. Hotels, tours, and flights are all also less expensive travelling. So all in all the perfect time for me; I am also a sweater weather type of person and I love wearing a toque. I think we really lucked out with weather as well! A lot of the passengers on the tour were Australian so when we were driving into the highlands it was a lot of their first time seeing snow which I thought was pretty funny. What was the WOW factor you experienced in Scotland or Ireland? 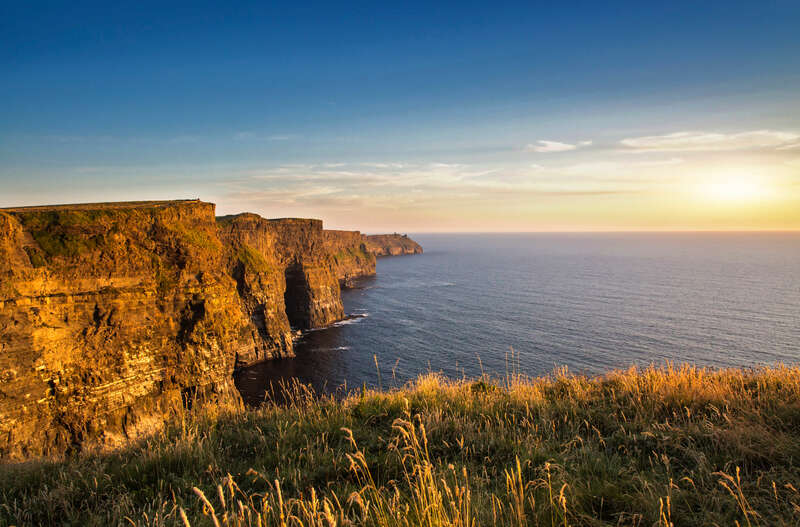 A picture is worth a thousand words and there are no words to describe the Cliffs of Moher. We stopped at the cliffs to wander around get our photos and get some lunch. Even with the crazy wind, I had a really hard time pulling my self away from the stunning cliffs. Every picture you took was just perfect but still did not live up to the real site in front of you. For more trips ideas, thoughts or insights before booking your next vacation, talk to a Merit Travel Consultant first.